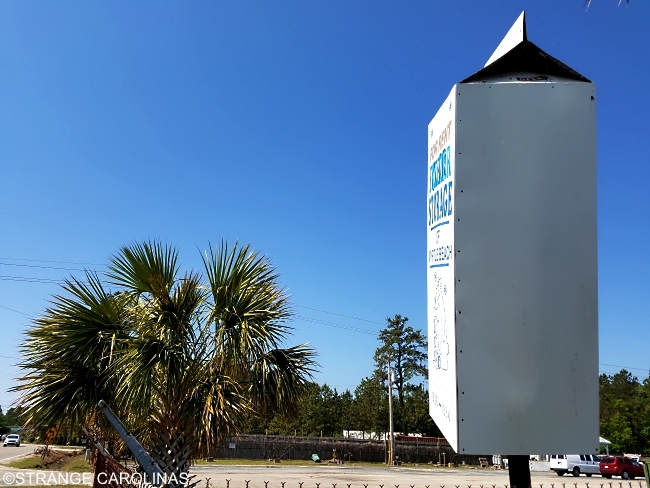 Did you know there's a giant milk carton in Myrtle Beach? It's a bit off the beaten path, but it's also just a stone's throw from 501. 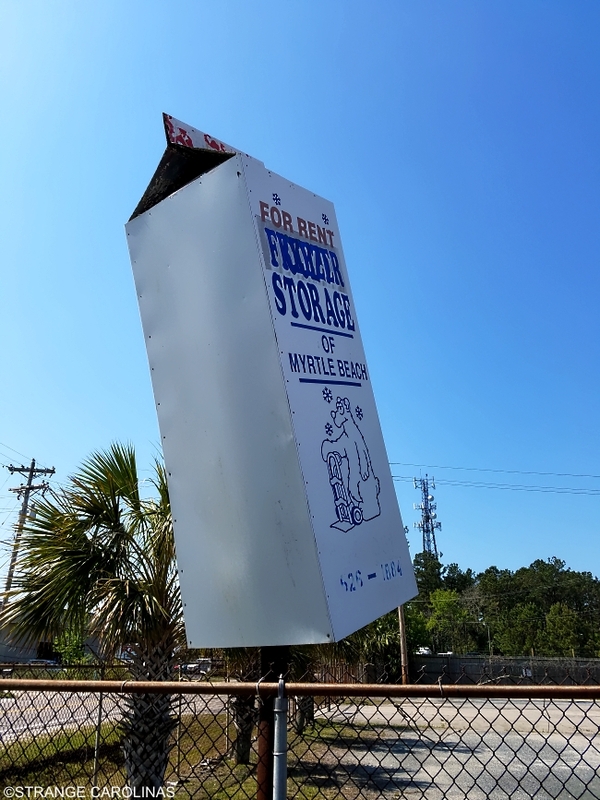 This giant milk carton doesn't rotate and advertises a cold storage facility, but we're not sure that business is still in operation. 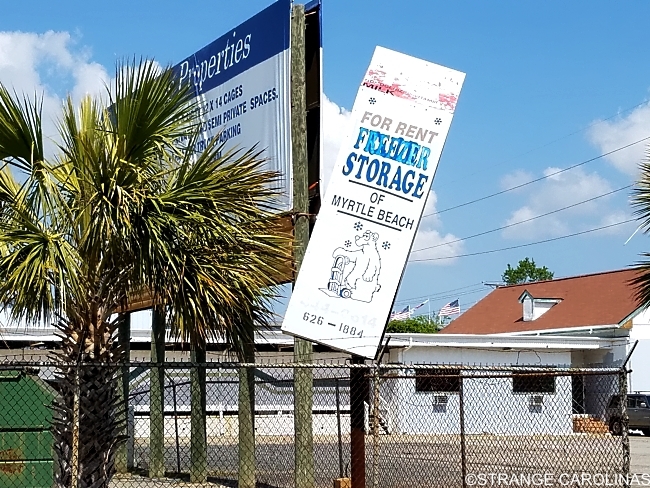 If you look closely at the peeling paint, it looks like it was once a PET milk carton. 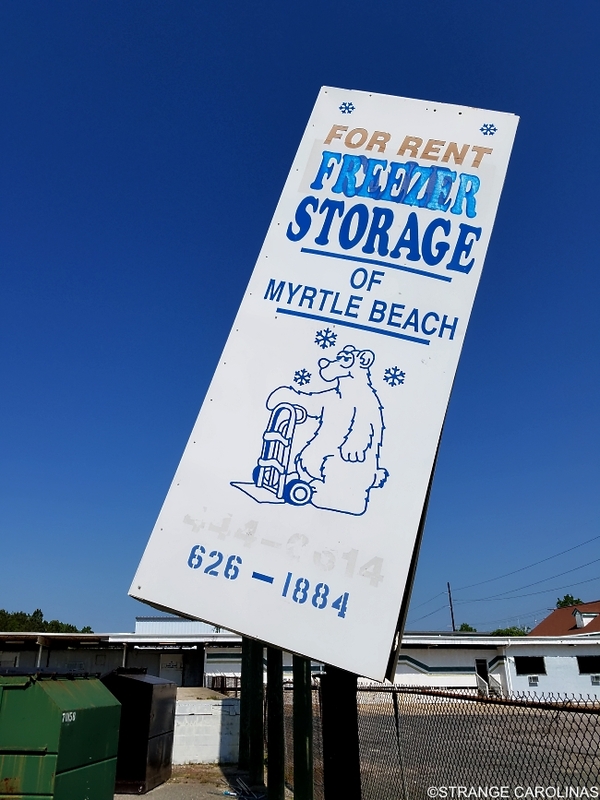 Check out all the giant milk cartons we've featured on Strange Carolinas.